I consider myself a pretty committed anti-racist, and I consider myself a pretty committed First Amendment guy. I love free speech, and I hate racist speech. There are times when these two principles are in tension, as principles often are, but I don’t think they’re in contradiction, and I firmly believe it’s possible to take them both seriously. Which brings us to FIRE. The Foundation for Individual Rights in Education loves the First Amendment as much as I do, but they’re not particularly anti-racist. Which is not to say that they’re pro-racist, or that they’re racist, just that their writings tend not to take anti-racism particularly seriously as a principle. Here. Let me show you what I mean. FIRE has written a lot about the current controversies over racist speech at UC San Diego, and their latest article on the situation, written by staffer Adam Kissel and posted to their website today, is a perfect example of what I’m talking about. In this piece, Kissel is examining the university’s response to a racist party invitation that was posted on Facebook a couple of weeks ago. His main argument is a compelling one — he has found impressive evidence that the section of the campus code of conduct that students have been accused of violating is no longer in force, and that the current code provides much stronger protections for obnoxious speech than the previous one. So far so good. This is a useful observation, and an opportunity for a discussion of what kinds of speech are and aren’t protected under the Constitution. But then he starts in on an analysis of the new speech code’s applicability to the current situation at UCSD, and goes completely off the rails. The relevant passage of the code, which Kissel analyzes point by point, defines harassment as “conduct that is so severe and/or pervasive, and objectively offensive, and that so substantially impairs a person’s access to University programs or activities, that the person is effectively denied equal access to the University’s resources and opportunities” on the basis of their race, their gender, or any of several other characteristics. This is, as Kissel suggests, a high bar. But let’s look — point by point, the way he looked at the code itself — at what he has to say about whether it’s been met. First, on the question of whether the speech in question is severe enough to be actionable, Kissel says it’s “most likely not.” The invitation was, he says, “arguably nasty,” but not severe enough to meet the standard. That’s not “arguably nasty,” it’s nasty. You can call it nasty, because it’s nasty. Second, on the question of whether the speech was “pervasive,” Kissel says “certainly not,” because it was a “one-time deal.” But students at UCSD have argued that this was just one example of a long-standing pattern of racist speech on campus, and they’ve given no shortage of examples. Can a single speech act be considered “pervasive” if it’s part of such a pattern? I don’t know. I suspect not, honestly. But it’s a question I’d like to see answered in any serious analysis of this kind of alleged racial harassment, and I’d kind of like to see case law on it. Again. Dude. Come on. It’s offensive. To say that you’re going to have a “Compton Cookout” where guests will be expected to dress and act as racist stereotypes of black people … and to do it in honor of Black History Month? That’s racist, and it’s offensive. You can say it. It’s okay. You can call it offensive, because it’s blatantly flagrantly virulently purposely intentionally racist, and if that’s not offensive, what is? There’s a thing that certain civil libertarians do where they state their free speech positions forcefully, but couch their moral indignation in an endless stream of qualifiers. I hate that. If racist speech can be protected speech, and it can, then it does no harm to your civil libertarian defense of that speech to concede that it’s racist. This speech was racist. If you deny that, or appear to deny it, your arguments in defense of it aren’t going to read as civil libertarian principle, they’re going to read as minimizations of racist douchebaggery. And when you take that approach you undercut your own argument — fatally, in many people’s eyes. Adam, if you want to convince skeptical anti-racists that racist speech is protected by the First Amendment, you can’t waffle on whether the speech is in fact racist. You just can’t. It won’t work. On the question of whether the speech so “substantially impairs a person’s access to University programs or activities, that the person is effectively denied equal access,” Kissel says “no parties have claimed that” it is. But this is preposterous. Of course people — students — have made that claim. They’ve made it again and again. They’ve claimed that the climate of racism at UCSD is so severe and so pervasive that students are choosing not to attend the university because of it. They’ve claimed that students are at risk of dropping out as a result of it. Are these claims strong enough to stand up in a court of law, or even a campus judiciary proceeding? I don’t know. I kind of suspect not, actually. I think that it’d be hard to show that any one incident, even one as vile as this, denied anyone equal access to the university’s resources and opportunities. But I don’t dismiss the possibility out of hand, and I certainly wouldn’t pretend that nobody’s made such a claim. What claim were the “1.3%” tee shirts that protesters were wearing yesterday making, if not exactly that one? Oh. This next one is my favorite. Ghetto chicks usually have gold teeth, start fights and drama, and wear cheap clothes – they consider Baby Phat to be high class and expensive couture. They also have short, nappy hair, and usually wear cheap weave, usually in bad colors, such as purple or bright red. They look and act similar to Shenaynay, and speak very loudly, while rolling their neck, and waving their finger in your face. Ghetto chicks have a very limited vocabulary, and attempt to make up for it, by forming new words, such as “constipulated”, or simply cursing persistently, or using other types of vulgarities, and making noises, such as “hmmg!”, or smacking their lips, and making other angry noises,grunts, and faces. You seriously want to claim that this isn’t sexist, Adam? You seriously want to claim that this isn’t “targeting” women? Of course it is. Of course it is. The fact that a racist screed trades in gendered stereotypes of both black men and black women doesn’t mitigate its sexism. How could it? Of course there’s “specific targeting” of black women in the above passage, just as there’s “specific targeting” of black men in the passage that precedes it. It’s race and gender stereotyping of black men and black women, and that one-two sexist-racist punch as unsurprising as it is reprehensible. At the risk of being dismissed as a hopeless ninny, Adam, I’d suggest you read this. Finally, Kissel dismisses the idea that the party or the invitation “detract[ed] from the educational experience” of the targeted students on the grounds that they “have generated a great deal of engaged expression and debate on campus, furthering everyone’s education.” But no. That’s not what happened. The invitation and the party didn’t generate that expression and debate, the organizing of committed students in opposition to the invitation and the party did. Then Kissel goes further, suggesting that the fact that the “people who were offended by the invitation appear to be winning concessions from UCSD” indicates that the incident may have improved those students’ educational experience. But again, no. Students are organizing against this racist speech because they feel harmed by it, and because they believe other students are being harmed by it. Are there high schoolers who are choosing not to apply to UCSD right now because they believe it to be a racist campus? I can’t say for sure, but I certainly wouldn’t dismiss the idea. Is this racist garbage a factor in already-enrolled students’ decisions as to whether to stay at the school? Surely it is. If the anti-racist movement currently flowering at UCSD has a positive effect on the campus greater than the negative effect of the racist acts themselves, that’s not something that mitigates the damage done. That’s not a fact that the racists can use in their defense. That doesn’t make their speech less hurtful, less vicious, less vile. If I were forced to take a position one way or the other, I’d have to say that the party invitation likely isn’t actionable under UC’s code of student conduct. I’d have to say that it likely isn’t racial and gender harassment as the terms are currently defined by the courts. I’d have to argue that as hateful, as harmful, and as repulsive as it is, it is in fact protected speech. But having said that, I’d go on to admit that I’m not a lawyer, and that I haven’t studied the case law on this, and that I’d be willing to listen to anyone who wanted to try to convince me I was wrong. And if, after they’d made their case, I wanted to convince them that they were wrong? Well, let’s just say that I wouldn’t make Adam Kissel my go-to guy for backup. Angus, I just wanted to say that I think you have a great site here. Your opinions are always well-formed and always advance the dialogue in some way. And you’re a principled guy — that’s evident in not just this post but in many others that you’ve done as well. I like that you’re not simply interested in making one side look good and one side look bad, you’re interested in determining what’s right. This is what we need more of from the student activist movement in California. Benito, stop posting this on every single site about this topic. You’re not helping your case by stating the same thing over and over again. 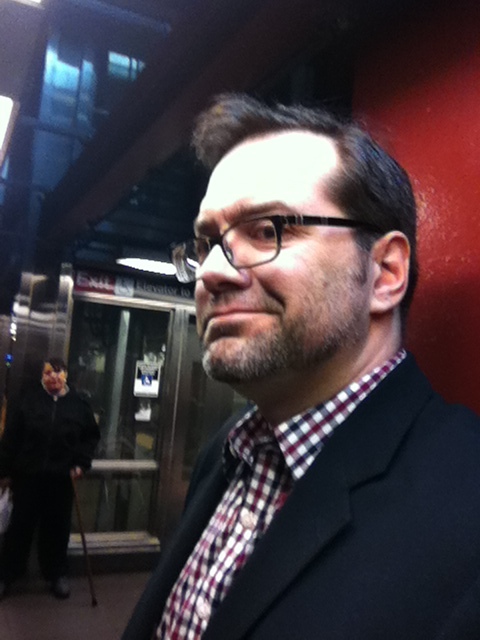 Is Mike McGee the posting police….what a loser! It’s annoying as hell to see that exact same comment from the same guy on EVERY SINGLE BLOG POST about this thing. And what, Mike McGee can’t point it out? Are you the pointing-out police? What a loser!